I coerced my husband into leaving the house by 8am. We jumped or more appropriately struggled onto the 1 train during rush hour making us feel like a panini popped into the sandwich presser. 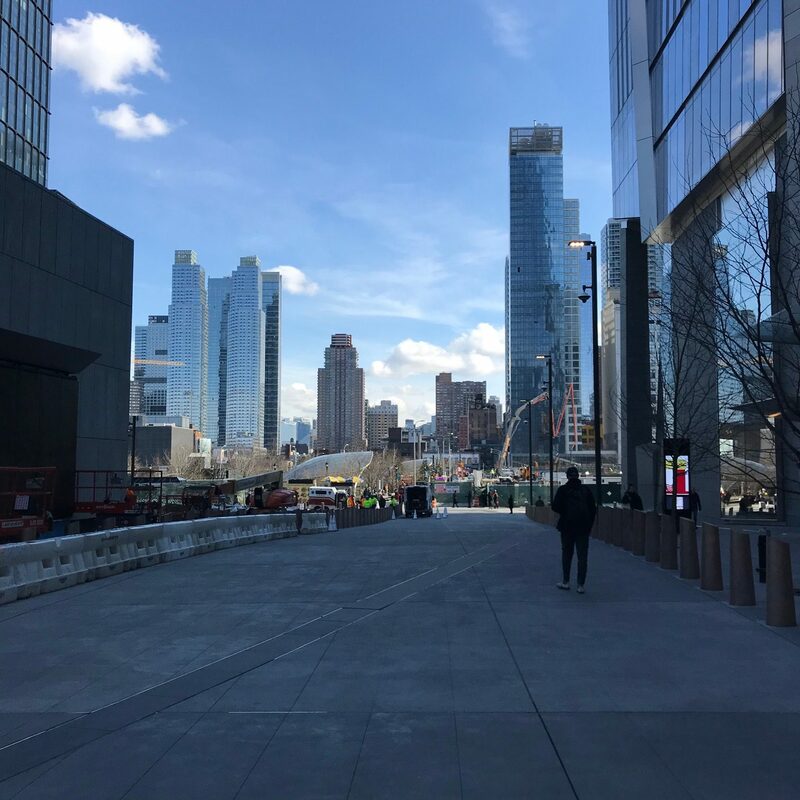 We squeezed off at 34th Street and walked the rest of the way to the new, opulent billion dollar baby, Hudson Yards. We entered through The Shops which are encased in marble and glass, projecting an elegant, formal feel. At 8:30 in the morning we had the place to ourselves. 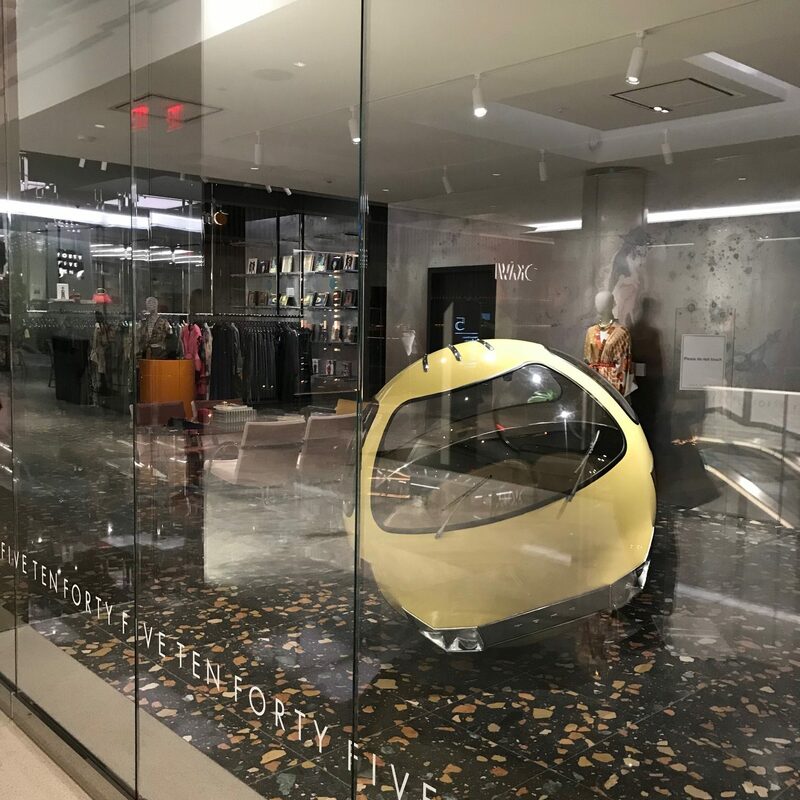 Forty Five Ten, a Dallas based luxury boutique featuring emerging brands and specially selected vintage pieces, has four distinctive gallery inspired shops next to Bouchon Bakery on the 5th floor. It is their first NYC store. 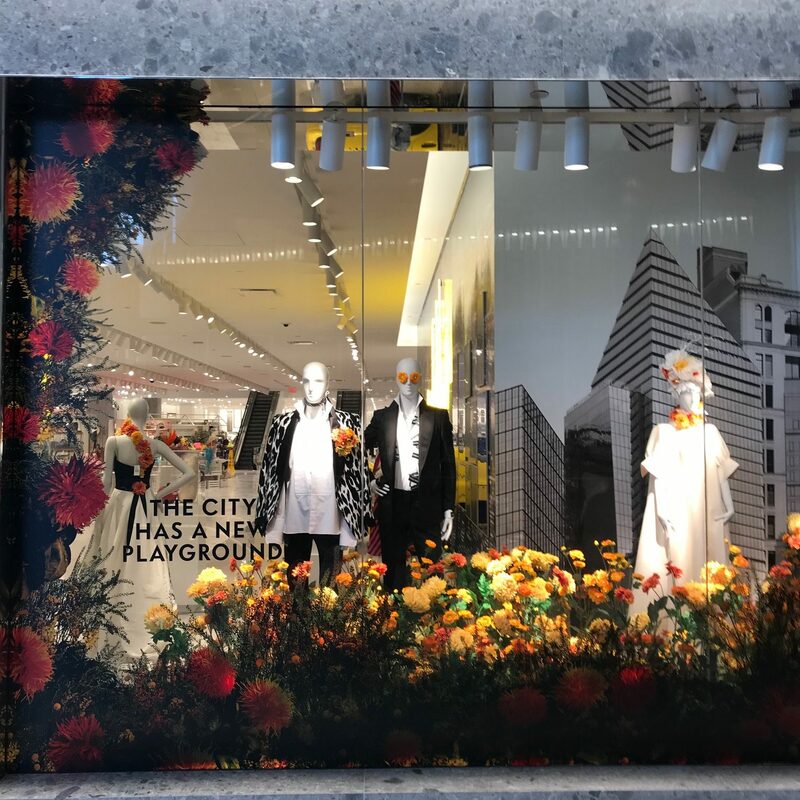 Neiman Marcus finally opened their long projected NYC retail establishment and it serves as the anchor, occuping two floors. Zara and H&M have a huge presence. The first floor is all designer shops including Rolex, Dior, Fendi, Vuitton and Tod’s. The Richie Rich crave convenience and don’t do escalators so all the high end stores are nesting together. Coffee addiction is well represented with Bouchon Bakery, Bluestone Lane, Blue Bottle, Citarella and Maison Keyser. The gardens are still being planted and a second phase is under construction. The Shed, the cultural center, is due to open on April 5th. 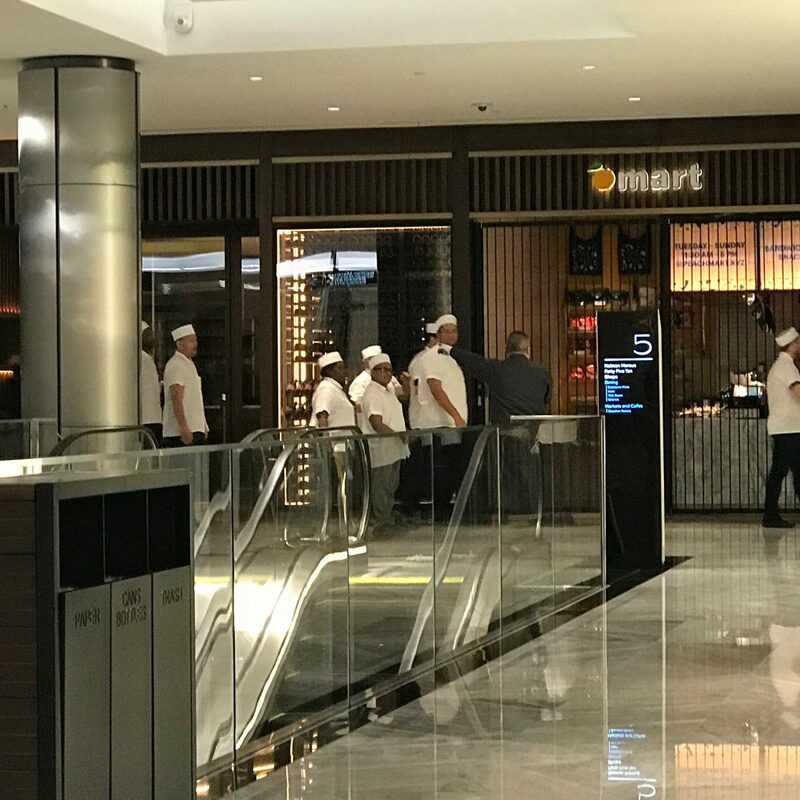 Thomas Keller of French Laundry, Bouchon and Per Se fame has led the restaurant charge, enlisting top flight chefs opening their own places, including Keller’s new establishment, TAK Room, David Chang’s, Kawi, Estiatorio Milos and the street level Mercado Little Spain from Jose Andres. The sky high buildings with multi-million dollar apartments surround the area as do the office buildings which are headquarters for L’Oreal, Coach, offices for media powerhouses like WarnerMedia, Turner, HBO, CNN and Warner Bros. and the future home of Disney. 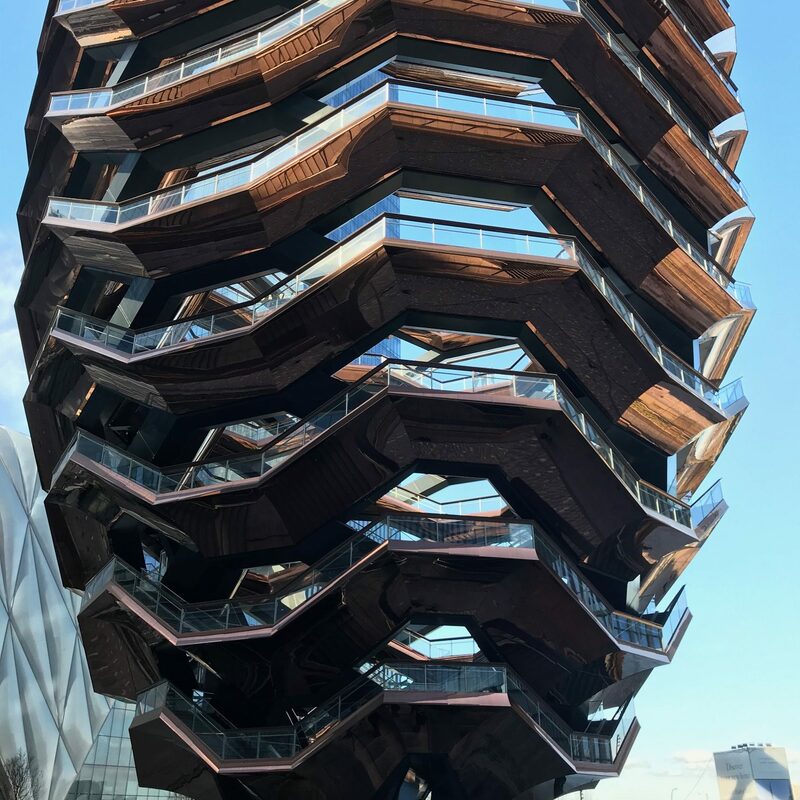 The Vessel dominates the landscape and is the centerpiece of Hudson Yards. 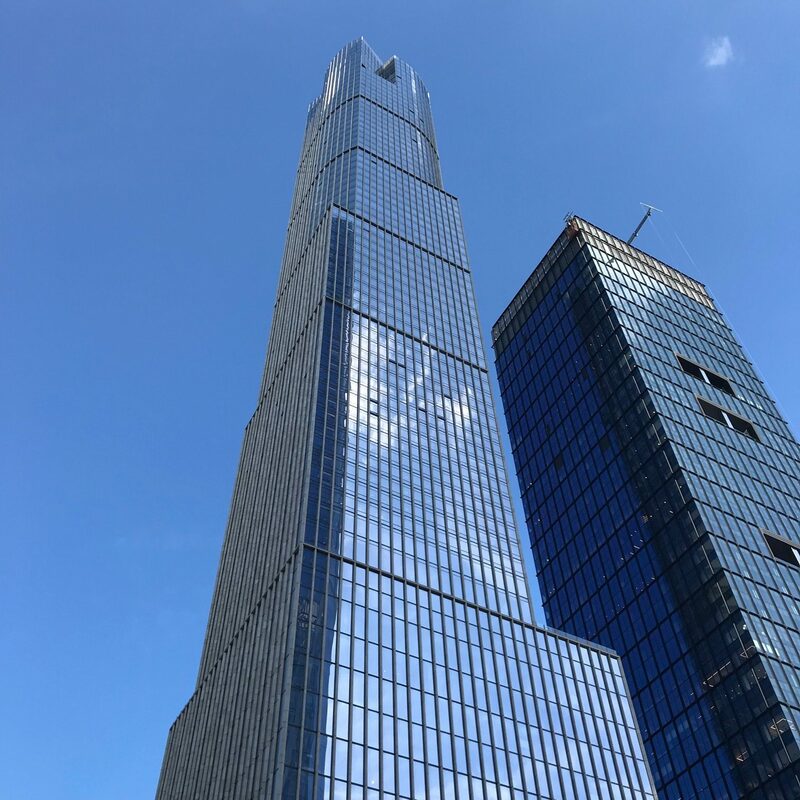 It is comprised of 154 intricately interconnecting flights of stairs, almost 2,500 individual steps and 80 landings with nearly one mile of vertical climb above the Public Square and Gardens. We climbed to the top so there was a physical sense of accomplishment. It is necessary to obtain free tickets online in order to visit the structure which is open daily 10am-9pm. We took the 30th Street exit which flows right onto the High Line. 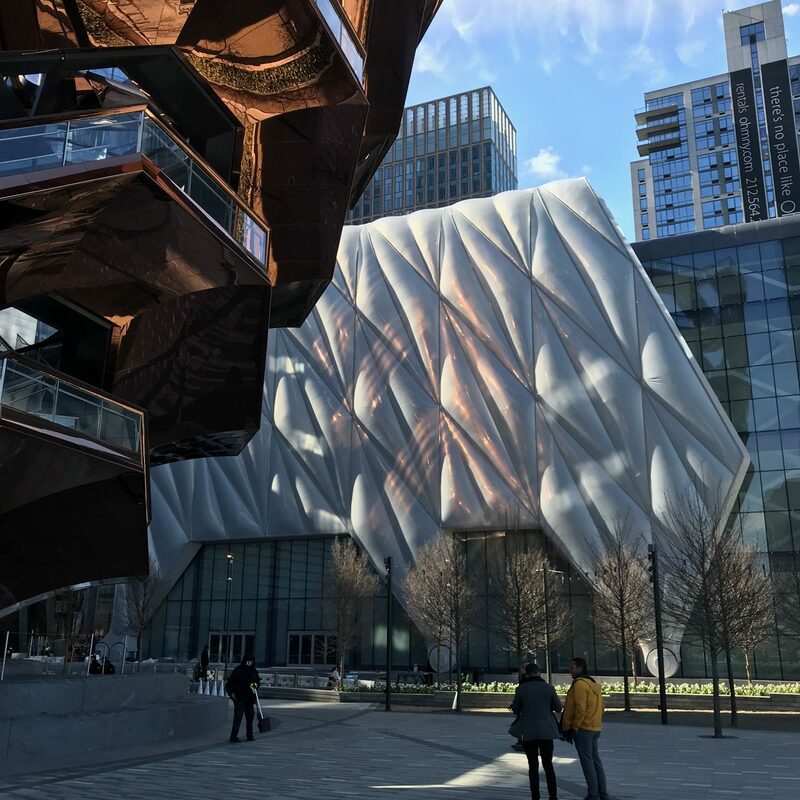 Hudson Yards is self-contained with the Citarella Market, Sally Herschberger salon, skin and beauty services and the aforementioned formal dining along with Shake Shack, Fuku, Dylan’s Candy and Sweetgreen. 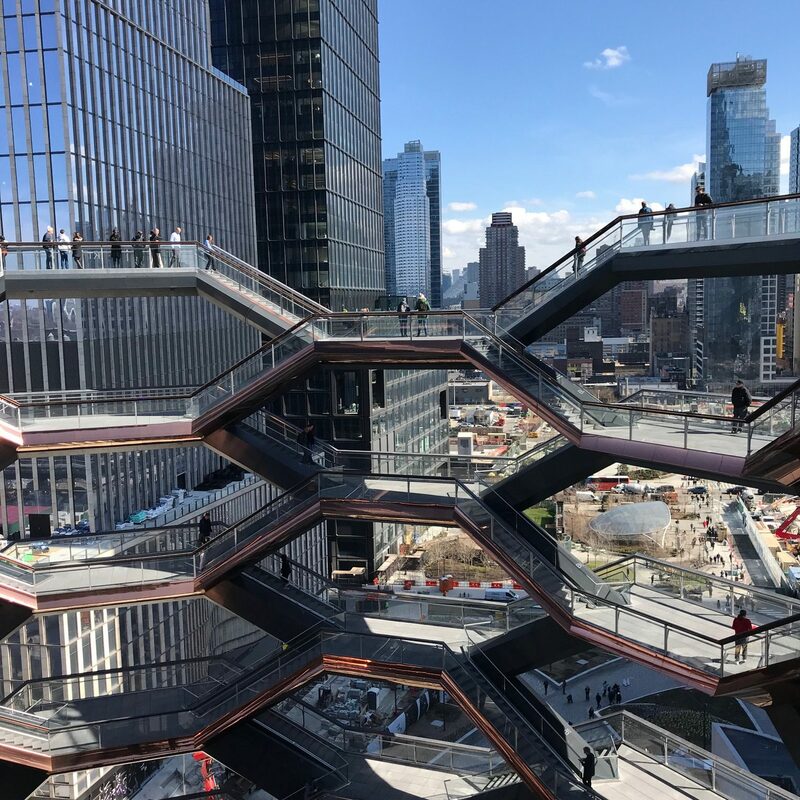 If you live at Hudson Yards, you never have to leave. The west side oasis is definitely worth a visit. It’s a few hours well spent, but try and avoid the weekends when hordes of people have been showing up. Wheels, Totems and Wishes, Willie Cole 2019. 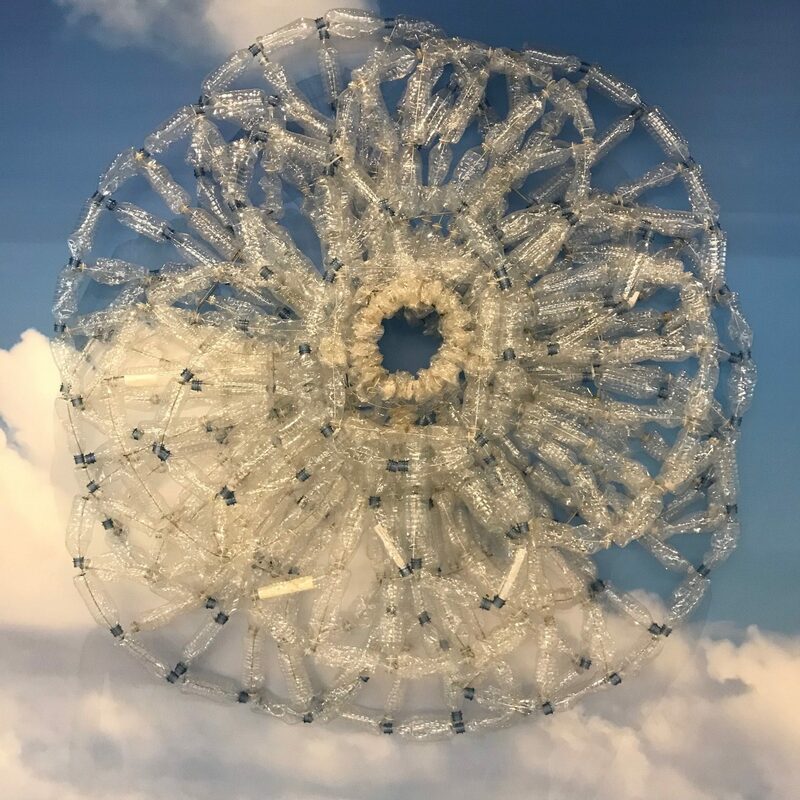 Made from recycled water bottles.